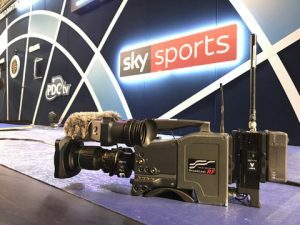 Grass Valley has renewed its Platinum Sponsorship of SVG Europe, stating that the association provides it with access to the core of the sports broadcasting industry. “Sports Video Group Europe provides Grass Valley with critical access to the growing community of sports broadcast professionals, a community with which we’ve been integrally involved for decades,” commented David Cohen, vice president of marketing communications at Grass Valley. “As the changing media landscape continues to evolve, one thing that we expect to remain constant is the influence of live sports coverage as a driver for innovation and creativity. Even the droves of new entrants into the content distribution market have recognised the power of live sports to drive viewers to specific content at a specific time; this continues to be where “the rubber hits the road”,” Cohen added. “Our involvement with Sports Video Group Europe enables us to speak directly to this community, and interact with it, as we collaborate to develop and distribute the most exciting and dynamic sports content for many years to come,” he concluded. Grass Valley is focused on empowering customers to create, control and connect content wherever, however and whenever it is consumed. In this ever-changing media landscape, many of its customers are faced with the need to create and support new workflows while continuing to operate legacy workflows, simultaneously broadcasting through traditional channels, OTT platforms, and video-on-demand as well as to tablets, PCs, and mobile devices.